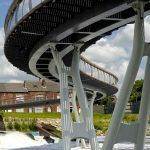 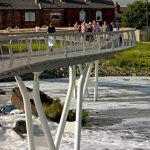 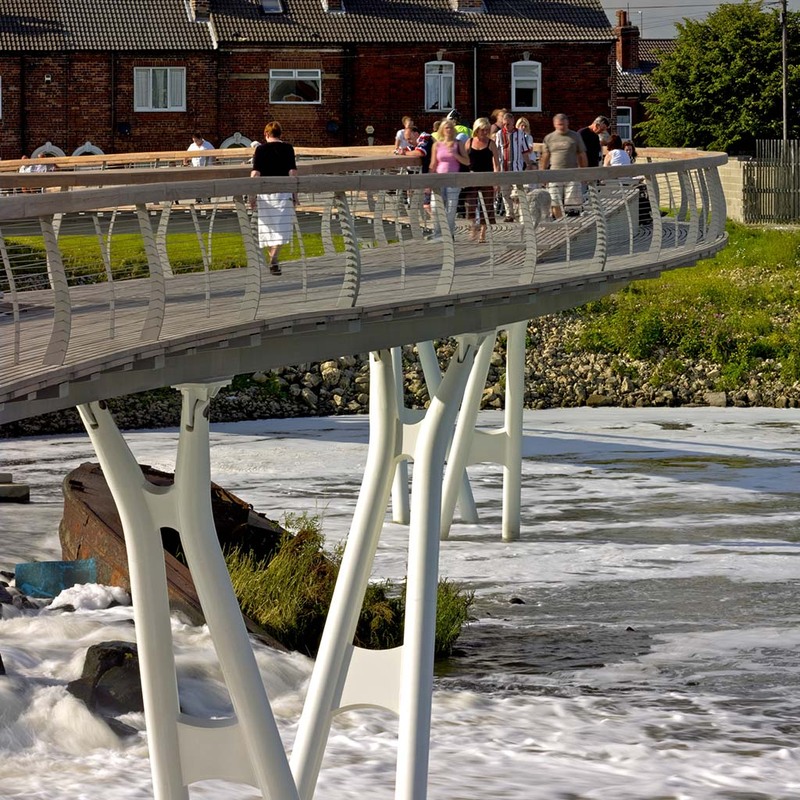 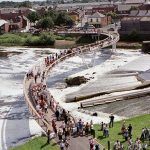 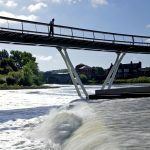 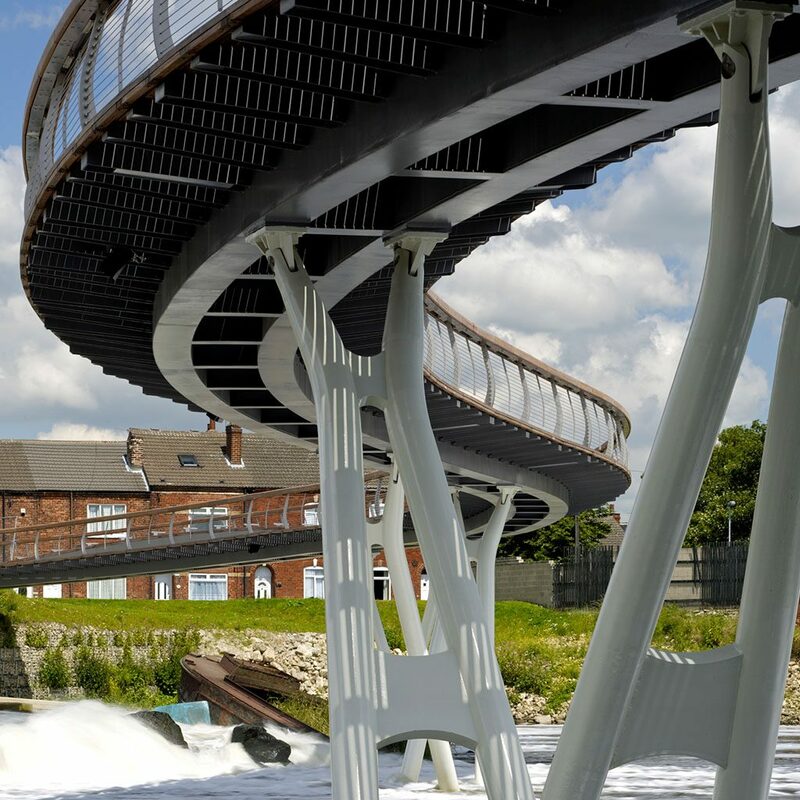 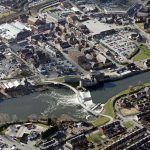 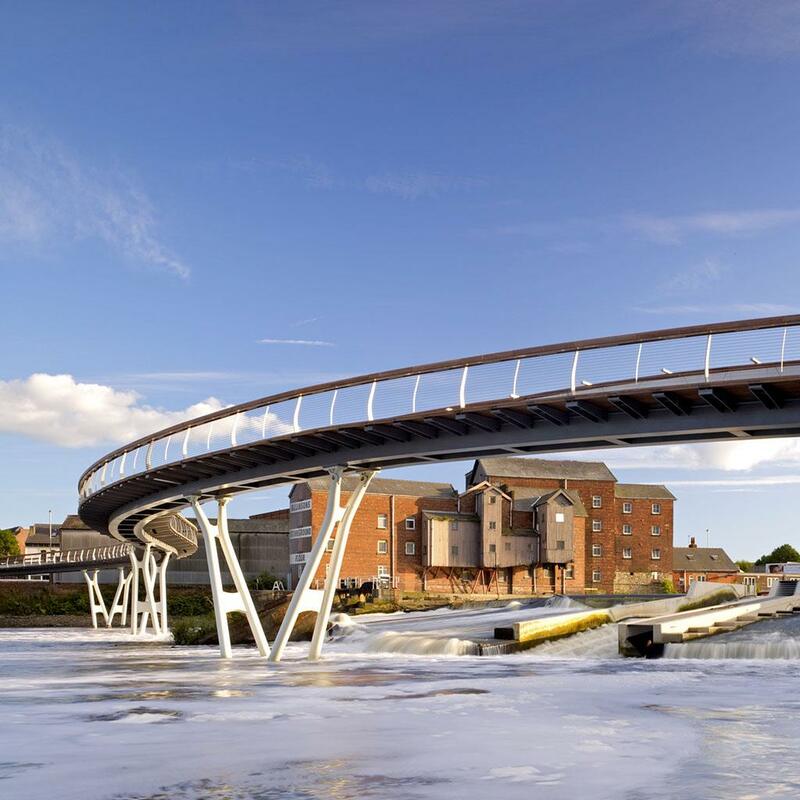 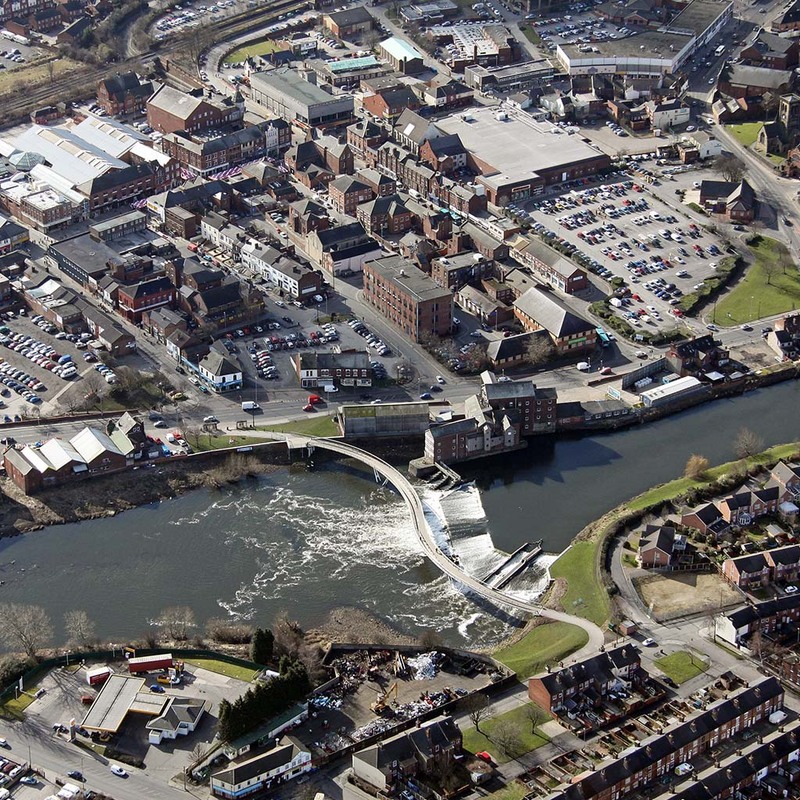 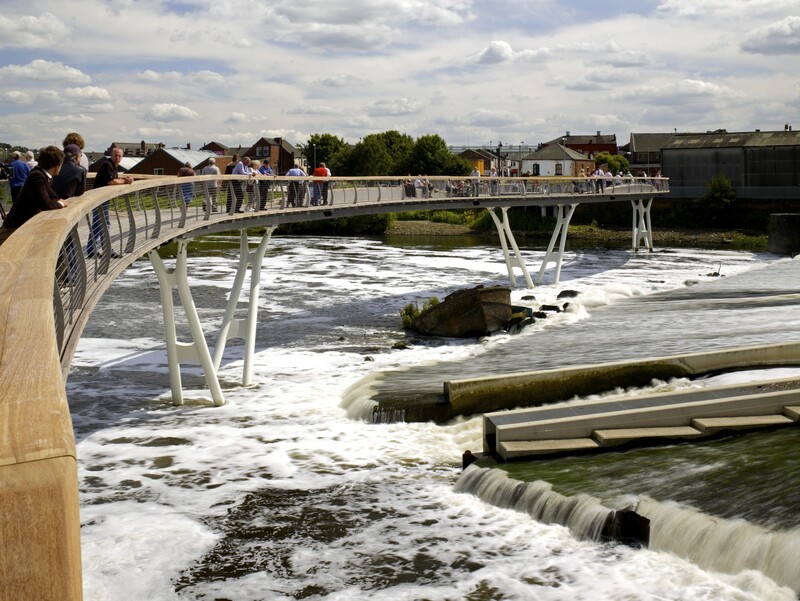 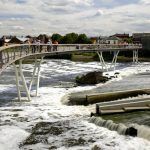 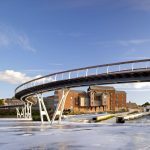 Award-winning pedestrian bridge improves connection across the River Aire, increase people’s enjoyment of the riverscape and acts as a catalyst for waterfront regeneration as the first phase in the Castleford Bay masterplan. 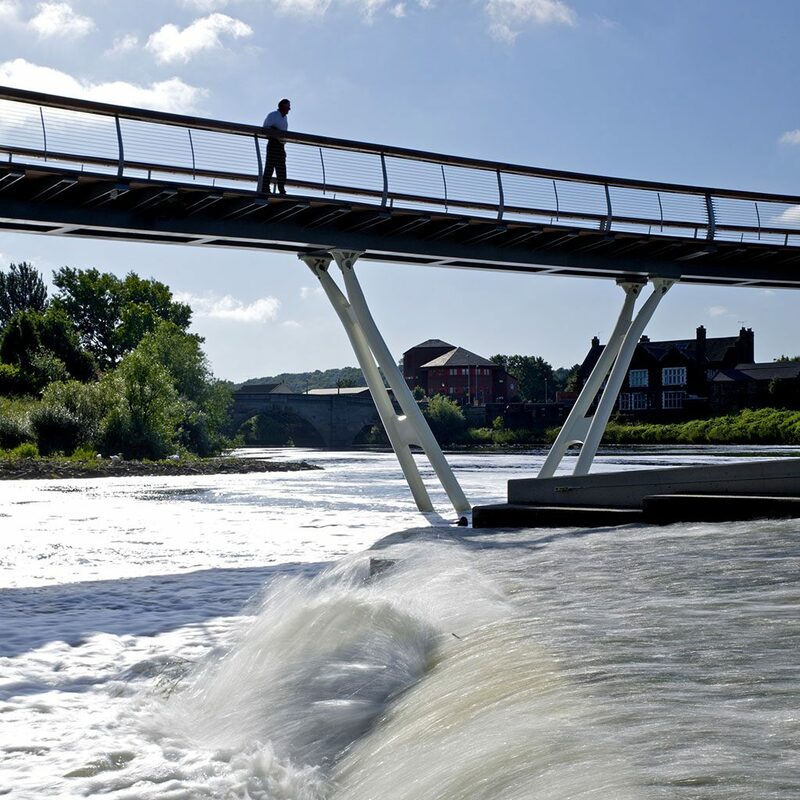 The elegant 130m serpentine bridge, supported on delicate inclined columns, is set over the turbulent waters of the mill weir. 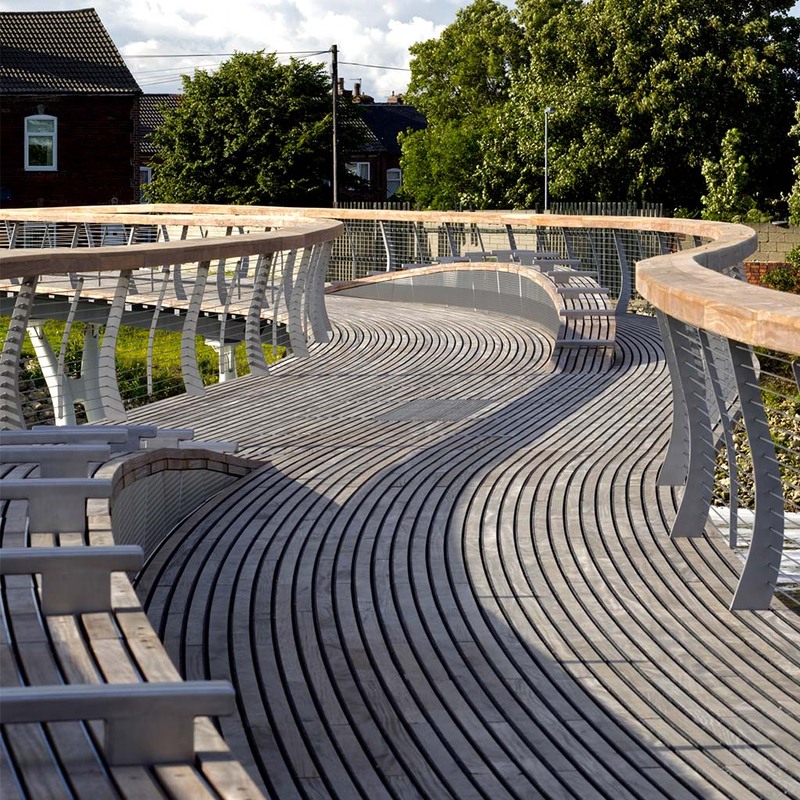 To keep the deck structure as thin as possible, part of the structure sticks up through the deck. This is utilised to form a series of undulating benches, set in the curving hardwood deck, for people to linger and enjoy the riverscape.